Lauren McElvany was born and raised in Edmond, Oklahoma. 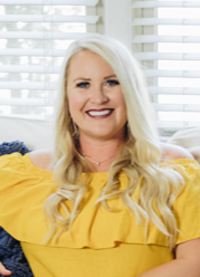 She graduated from the University of Central Oklahoma in 2013 where she began her career as a Physical Education teacher at Wilson Elementary in Midtown Oklahoma City. Teaching health and wellness and instilling love in her students is what Lauren loves about her job. Growing up, Laurens family remodeled and flipped many houses making her very familiar with real estate. Two years ago, she decided to pursue her Real Estate license in addition to her teaching elementary school. She received her certification and joined the team at Midtown Realty where in her first year she sold over a million dollars in real estate. She has helped her clients buy and sell all over Central Oklahoma. Living in Edmond and teaching in Oklahoma City has given Lauren great knowledge of many neighborhoods and helping her stay in touch with market trends. Lauren is known for her diligence, clear communication, attention to detail, and personally connecting with her clients. She has unique and exciting ways of advertise homes through social media that catches buyers attention. Whether you are purchasing or selling a home, Lauren can confidently guide and make your transaction smooth.